Thestrals are creatures from the Harry Potter series. 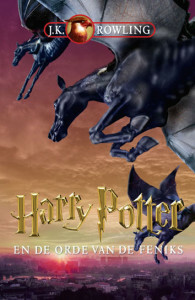 In the world that author J.K. Rowling paints for us, thestrals are dark, skeletal, horse-like, magical animals that pull the carriages taking children to Hogwarts School of Witchcraft and Wizardry. They are invisible to anyone who has not both witnessed a death and had the time and ability to accept it. Although unseen by most and frightening to many, thestrals are gentle creatures and play an important role in Harry Potter’s story, including helping the characters literally to be transported and saved. To me, thestrals represent a crossing over of experience to a place where the world looks significantly different. In the heartbreaking weeks and months after our babies die, many of us speak about a “before” and “after”. Life takes place in the context of a “new normal” where everything seems changed in our world. Thestrals represent to me a loss of innocence and, at the same time, an altered, perhaps broadened view of the world. This is not unlike what many people report as part of their longer term experience after losing a baby. I see them as a symbol of what can happen after a perinatal loss–whether it is the death of a baby or death of a dream. Through and after the pain, we may glimpse something new that can carry us further. Image: Dutch translation of Harry Potter and the Order of the Phoenix, by JK Rowling published by Standaard and De Harmonie. The cover art was created by Ien van Laanen and the cover was designed by Anne Lammers.